I am not a scientist but thought this should be considered - this is not a debate for me, just some ideas ' out of the box'. 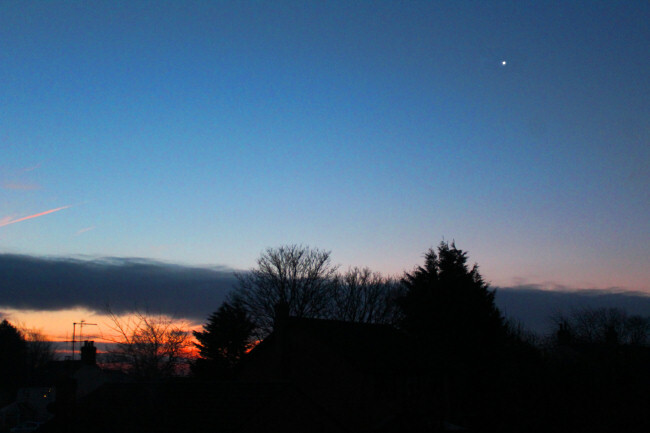 Who saw the conjunction on Monday? The trio rose over Grain Power Station from my perspective but unfortunately they had a major fire that morning and there was a column of thick smoke rising right in front of of the Moon! I stopped on the way to work and had a good look though. I downloaded Backyard EOS to use with my Canon DSLR but it seems like it's been cloudy ever since then! With nine days left on the free trial licence I couldn't wait any longer for a clear sky at night so I set everything up yesterday day time and took some photos of a tree in the back garden of my neighbour five doors down. I've been shopping around for a good deal on one of these M50's from Canon. Most of the kits have this 15-45mm lens. How is this lens? Is it one that I'll likely keep? If so, then I'll keep looking at kits. If garbage lens, then I'll stick with the body only. A Happy Christmas to all my fellow astronomers here on the forum. Christmas morning at 7am today. A 'star' in the east! do this for polarex unitron Telescope lovers.